Healthy Environment. Vacuuming is important, but keeping a healthy home requires professional carpet cleaning on a regular basis. With our hot water extraction system, the water temperature reaches 220 degrees, which is hot enough to kill most bacteria and allergen proteins present in your carpet and upholstery. Reduce Allergies. A professional cleaning with Modernistic will reduce the allergens in your carpet and upholstery by 90%! Our proven solutions have been tested and shown to be highly effective at neutralizing the most common allergens, including those from dust mites and pets. Extend the Life of Your Carpet. Carpet manufacturers recommend having your carpets cleaned every 12-18 months with our hot water extraction method. Providing your carpet with the proper, routine maintenance will help to reduce wear – extending the life of your carpet by 50%! Peace of Mind. A clean home not only looks great, it feels great! Enjoy your home looking its best and breathe easy knowing your environment is a healthy one! 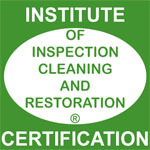 Our IICRC trained and certified technicians will arrive to your home or business in a clearly marked Pro Clean Restoration truck, wearing a Pro Clean uniform and a visible ID badge. Before they begin the cleaning, they will ask for a walk through of the areas being cleaned, so they can note any areas of concern you may have. Pro Clean uses proven methods that are recommended by carpet manufacturers to ensure safe cleaning and the integrity of your carpet warranty. We guarantee to give your carpet the deepest clean possible using advanced cleaning solutions. Our technicians use a proven step-by-step process to eliminate dirt, spots, and odors completely, and will utilize special tools that reach in, around and under, large furnishings and electronics, to ensure complete cleaning coverage. Following the cleaning, your carpet will only be damp to the touch. Our cleaning method is so powerful that 95% of the moisture we use is extracted right back out while we are cleaning. While dry time can vary based on the temperature and humidity in your home, as well as the outside weather and your heating and cooling system, the standard dry time is 6-8 hours, but in some instances, can take up to 12 hours. Our IICRC certified technicians are experts in the industry, dedicated to their craft and committed to providing you with an exceptional carpet cleaning experience. 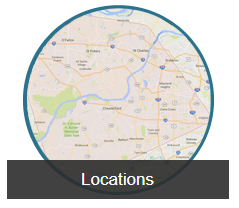 Our team specializes in spot removal, odor removal, pet-affected areas, and more! We also offer 3M Scotchgard carpet protection, an Anti-Allergen Treatment, and a variety of deodorizers. You can see our work by checking out the photos taken by our technicians in the field. You will quickly see that we can handle just about anything! When you’re ready, scheduling your residential carpet cleaning appointment has never been easier: simply just give us a call! 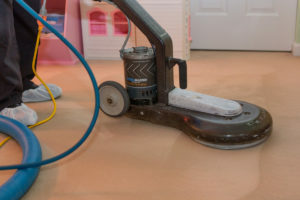 Carpet Cleaning Services Near: Chesterfield, MO. St. Peters, MO. St. Charles, MO. O’Fallon, MO. Clayton, MO. Wildwood, MO. Lake St. Louis, MO. Ladue, MO. Frontenac, MO. Clayton, MO.